Hello Dearies, long time no blog again. 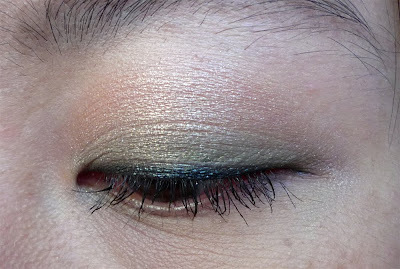 Today is just a quick EOTD using the MM palette my friend bought for me in Hong Kong. She asked me what color I wanted and I just told her something green but not too crazy. I don't have any other green shadow besides the Maquillage GR366 which has a minty green shade (more summery palette imo). 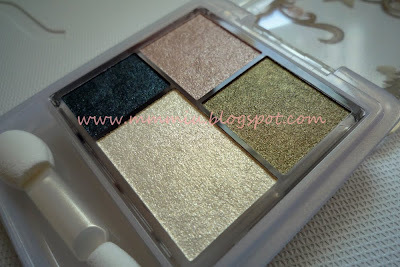 The MM palette is very earthy and very wearable for everyday. Items used! I love how I don't have to use a lot on my eyes. Pretty straight forward and easy to use. 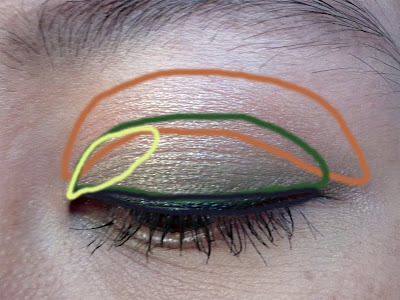 Before I added the liner shade, I used the black pencil liner and smudged the shadow on top. Then I used the liquid liner. 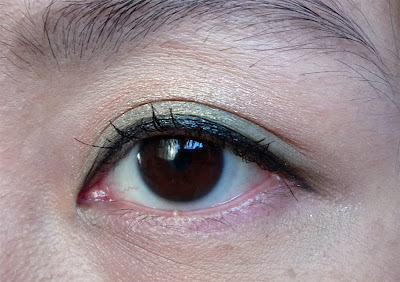 Once the liner dried, I blended a bit of the green shade on top to soften the look slightly. 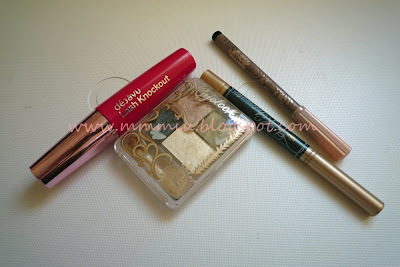 I love how the colors are so pigmented and long lasting. I was actually a bit disappointed in the MM palettes before because of the lasting power, but this one seems to hold up pretty well. 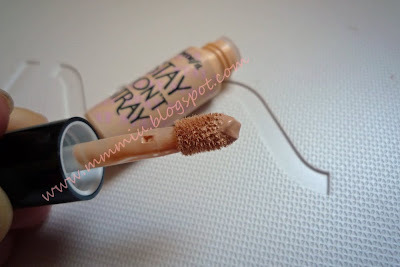 I got a sample of the Benefit Stay Don't Stray primer. The SA said it can also be used to prep the eyes for concealer and it won't cake. I can confirm that it did a good job as a concealer primer! Prior to that I used UDPP and it would cake/crease slightly by the end of the day, but so far the Benefit one works very well. The primer is a bit light in color and a little goes a long way. And since it's slightly lighter than my skintone, it almost evens out my eye area a bit before shadow and concealer application. No, I am not a genius. A gift from Mr. Right? LiV3s uP mY n@m3 !